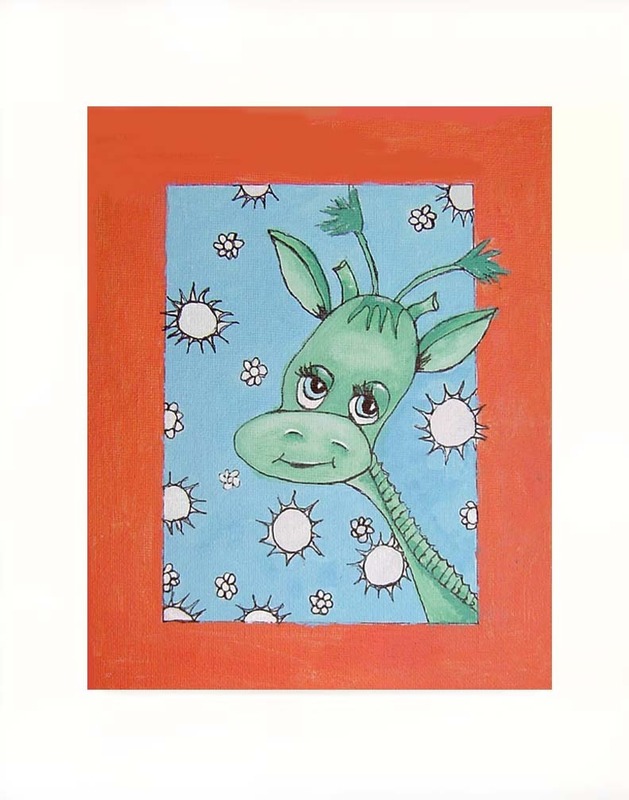 Home » JANIE'S ARTS » Green Giraffe Acrylic on Canvas Board - Prints Available 8"
Green Giraffe Acrylic on Canvas Board - Prints Available 8"
Whimsical green giraffe with boarder Original hand painted in acrylic on canvas board. Available as a print - 8" X 10" - matted in white. Original art ï¿ Janie Thompson-Lide. The artist retains copyright to all works. Copyright is not transferable with sale. Reproduction without written consent is strictly prohibited.